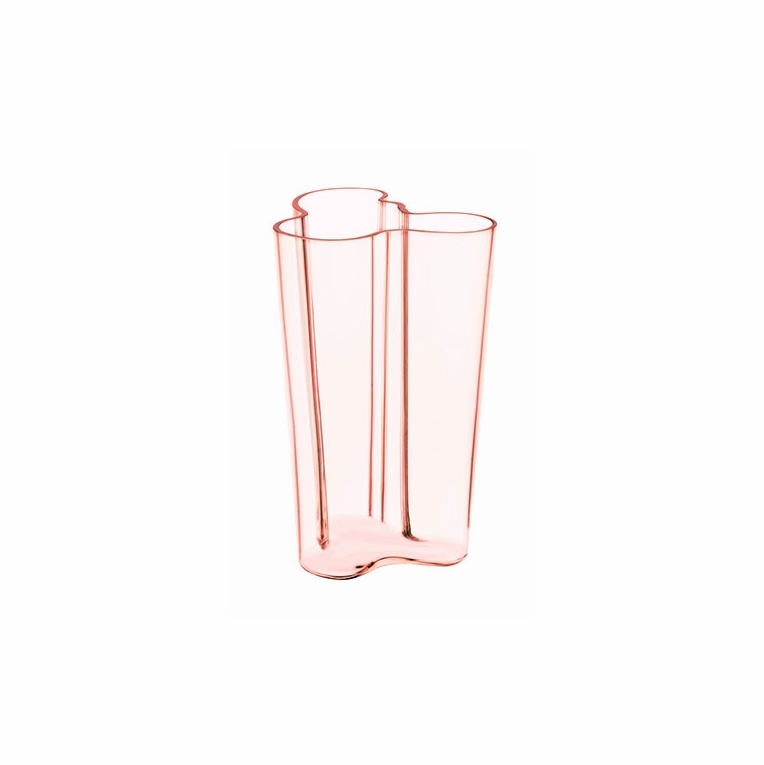 Tall yet slender, the elongated silhouette of the iittala Finlandia 8" Salmon Pink Vase produces a beautifully slight form. Made from pure glass and mouth-blown to perfection, the Finlandia Vase is more like a work of art than an everyday vessel. Designer Alvar Aalto created objects without a final purpose in mind in order to allow Aalto vase owners to use his pieces in varied ways. Inspired by nature, the vase was created to mimic the curving coastline of Finland. The soft pink helps to define the shape of the vase without obscuring the natural beauty of its silhouette; which has remained the same since 1936. Timeless and beautiful, the iittala Aalto Finlandia vase is an heirloom that will be passed on for generations.The Story of a Classic.